The moment I scrolled past a Red Bean + Matcha Ice Cream Sandwich from Zakkushi on Instagram, I absolutely fell in love and longed to get down to this place for months! What better than to hop on down to the place with a mate that once lived and breathed the country a few years ago. Letting my mate do the choosing, the were amazing choices – making more than half of the dishes ones that I would absolutely recommend to every passerbyer. Zakkushi, in Cabbagetown, such a nice spot. 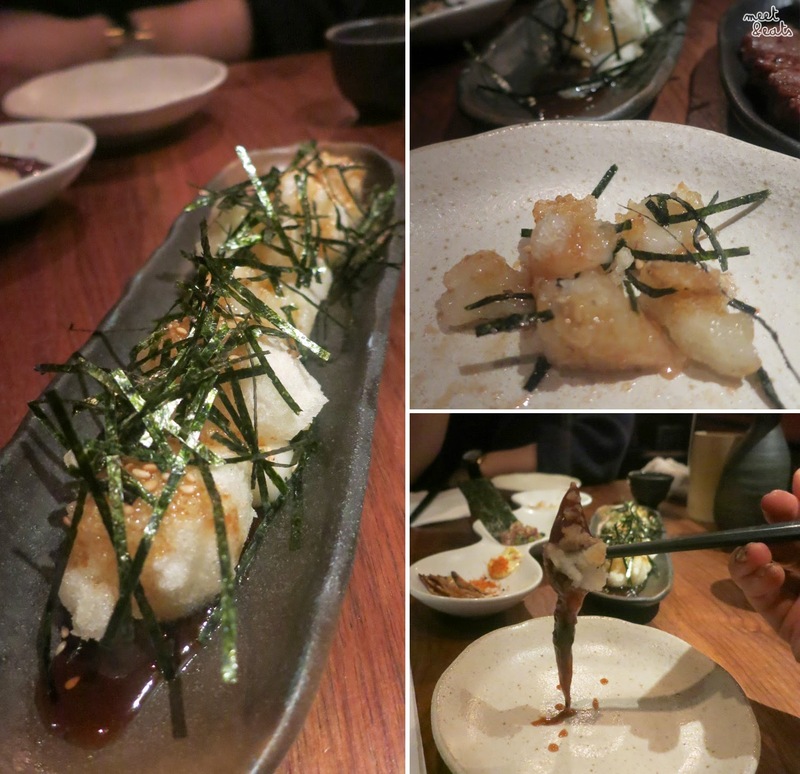 The place was cozy, and great for a dinner for all sorts of occasions, read on as I fall in love with the place! 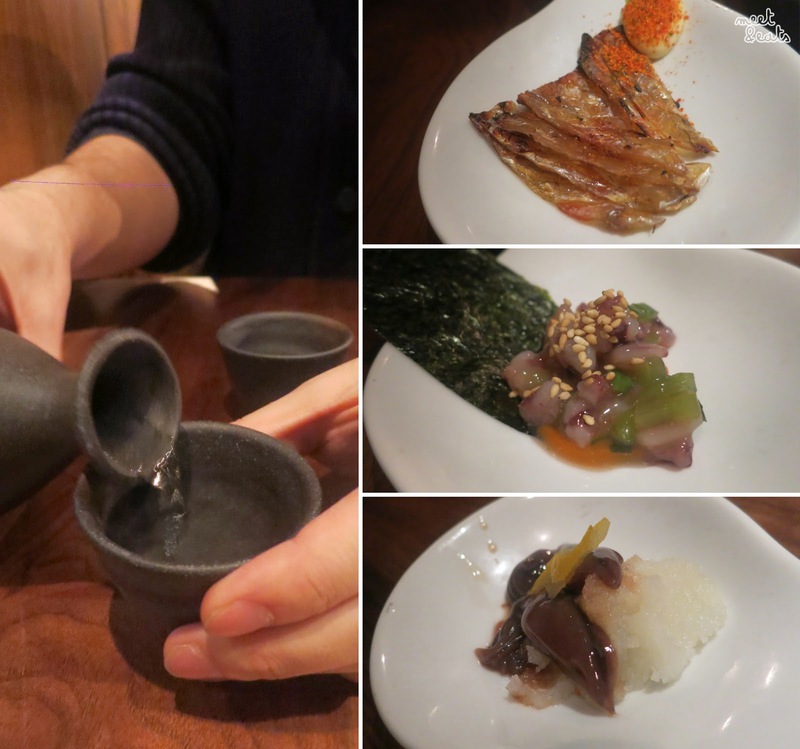 The Hakkaisan was dry and crisp, great sake to have throughout these dishes! The Kawahagi had nice flavours with a side Spicy Mayo to dip. 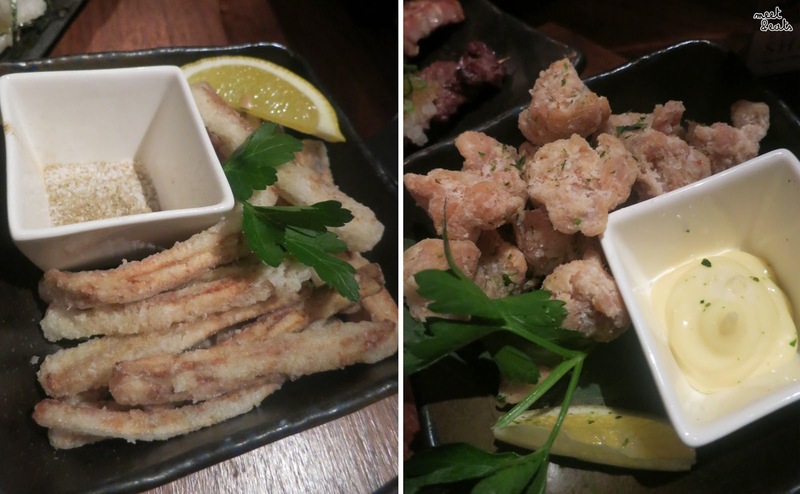 The Takowasabi was pretty awesome, the best I’ve had to date – it was so refreshing with fantastic bits of fresh Octopus, and a great combination of Wasabi Stems. This was definitely something! A shot of me holding it up is in the next pic collage ☺. A fresh Baby Squid marinated lightly in Soy Sauce with what I believe was a small amount of mash. Sake is always a must with Japanese food! It’s usually the one thing that I look forward to most when Japanese dining. Kicking off the evening, I surprisingly fell in love with the Appetizers! Appetizers were also for are a jolly 3 for $5.80, which is no reason to only try one of these dishes. Oh boy, this Age Mochi was one of the best Japanese dishes I’ve ever had the pleasure in indulging in. It was perfectly crisp, soft, and the Sweet Soy Sauce was perfect. The Seaweed Strips are such a lovely touch as well. It felt like this dish went forever, a great portion to share! I absolutely love Gizzards! Here they are on a stick, so plump and wonderfully lightly seasoned. The sooner you eat this, the better! Incredible how tender and nicely seasoned the Wagya Beef was. This was delicious, as addictive as popcorn! This Deep Fried Chicken Skin made me want to take ten more to go, to the cinemas to catch the next session and snack on. It tasted just like Pork Crackle, just with a thinner and bouncier bite. Not as party-worthy and flavoursome as the other dishes, but it was definitely an interesting treat. The Gobo Karaage came in strings with a firm bite as well. The Lemon and Salt/Pepper definitely wasn’t necessary. I actually officially fell in-love with Zakkushi after biting into these heaven-sent treats, Deep-fried Chicken Knee Cartilage. It was so good! The delicious bite-sized pieces would ooze with flavour after crunching into it’s cartilage. So. Good. 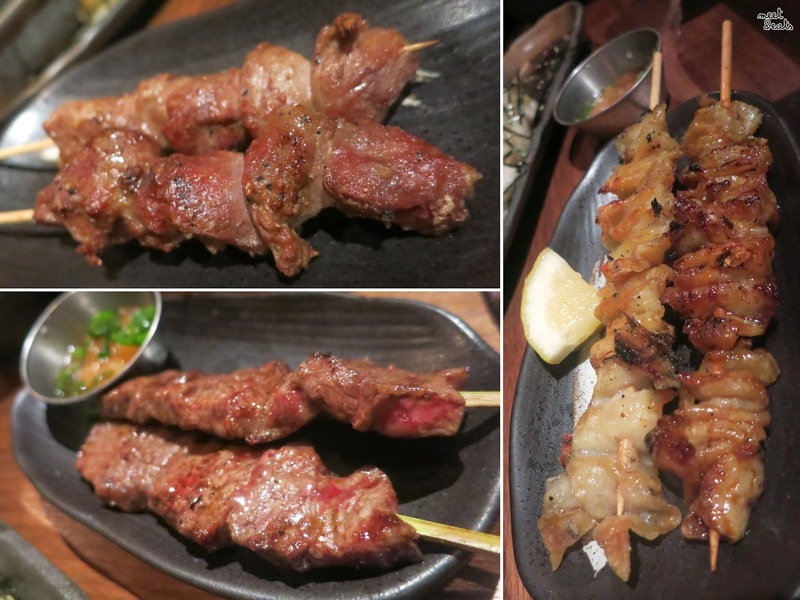 The individual skewers were so much better than this whole set – this doesn’t even justify what Zakkushi has to offer! 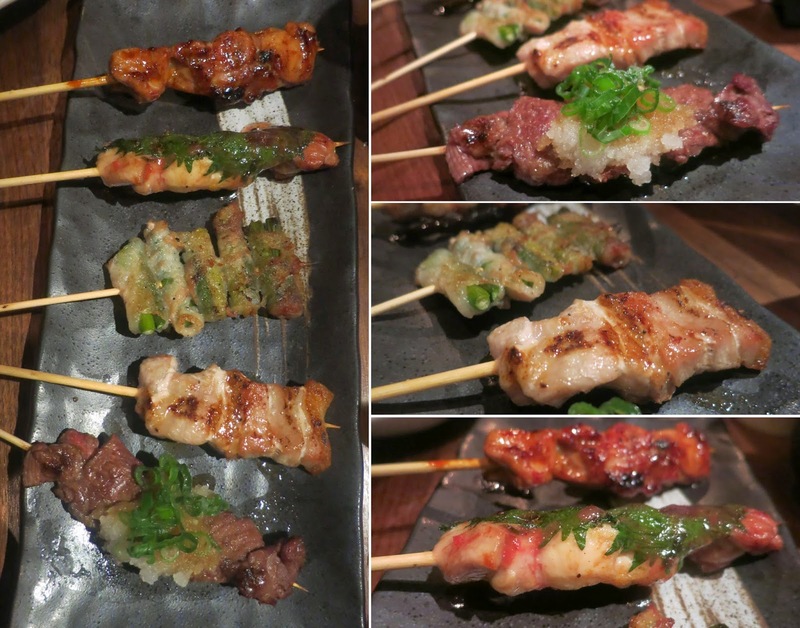 4/5 of these lacked heavily in flavour – my favourite was solely the Umeshiso Yaki, and I didn’t think much of this! 12. A squeal-worthy skewer disposal to the right! An interesting dish, but it wasn’t as great as I expected, not much flavour going on. 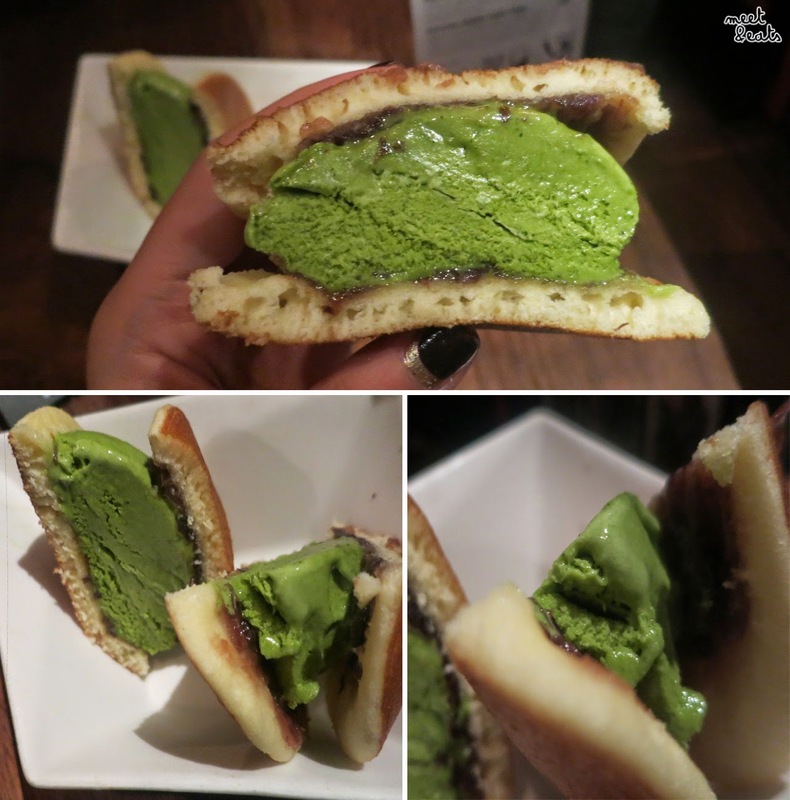 This Dorayaki Matcha Ice Cream Sandwich was the whole reason why I was excited for Zakkushi! It wasn’t as fantastic as I imagined it to be, maybe a lot of more Red Bean would have been more exciting – the Matcha Green Tea was nice and subtle in flavour. I had such a dandy time at this place, it was one of the best dining-experiences that I’ve had this year! The service was fantastic, I swear I received water (from another server) in five seconds after I asked for it. 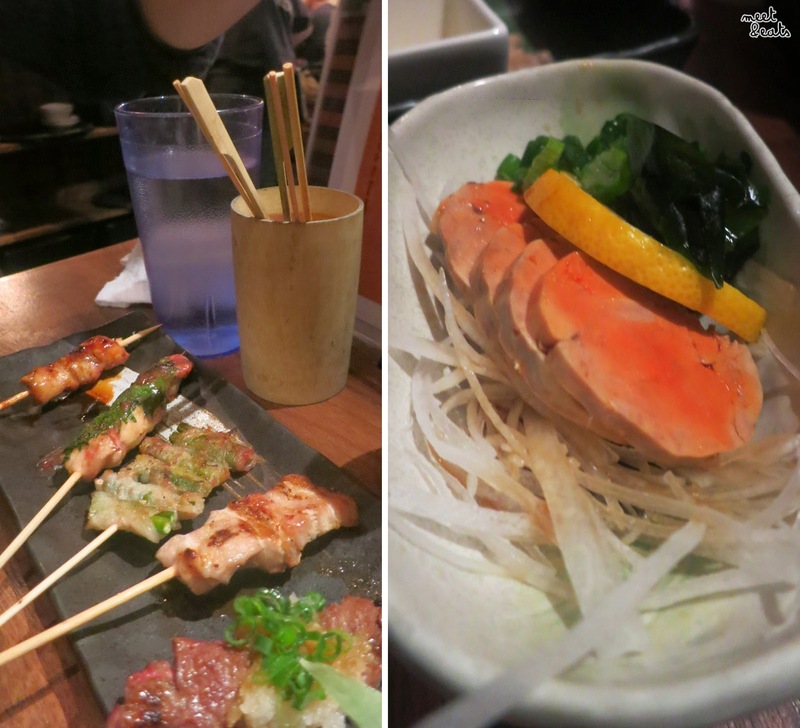 Such a swell time exploring dishes I’ve never had before, and, my first Japanese Grill experience. The ceilings are low, and makes the dining spaces feel fairly intimate. One of my favourite restaurants in Toronto by far.